As the Power Ranger hiatus approaches, we break down the newest episode of Power Rangers Super Ninja Steel, along with our review for Lupinranger vs. Patranger! We examine the showdown between leaders as Lupin Red and Pat Red face off! Plus, is Sarah a cheater?? 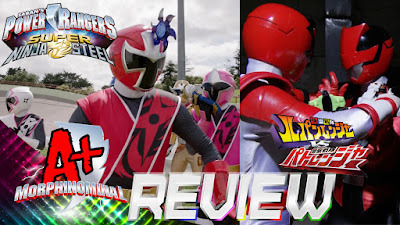 We discuss her decisions making and also why she's the best thing Super Ninja Steel has going for it.